The Evolution Championship Series (colloquially “Evo”) wrapped up its first trip to Japan last weekend. It was full of incredible moments highlighting the best of competitive fighting games, including a mind-blowing moment during the BlazBlue: Central Fiction tournament that saw one entrant completely reverse his fortunes in an extremely dire circumstance. 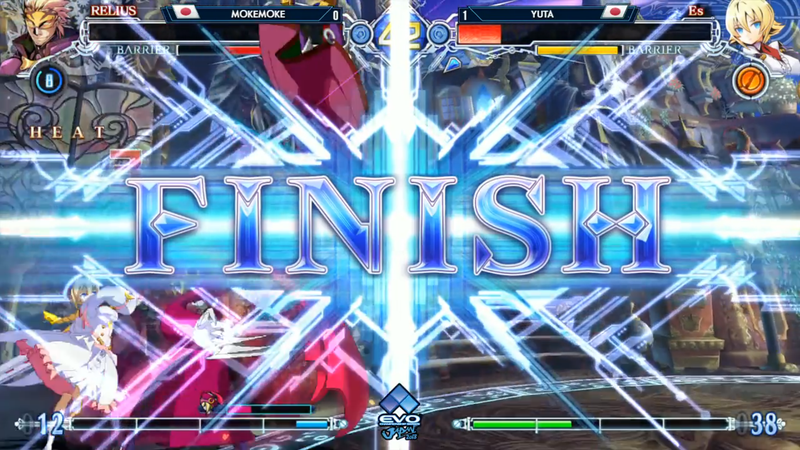 As the BlazBlue bracket whittled down in Tokyo, two Japanese players known as Yuta and Mokemoke were paired in the losers bracket semi-final match. The winner would move on to the losers finals for a shot at the championship, while the other would be sent home with a respectable but still-disappointing fourth place. At this point in a tournament, the threat of elimination makes way for both incredible plays and anxious bungling. While modern fighting games do a great job of giving players options for even the scariest of situations, high-level competitors are able to develop intricate strategies that can make winning a forgone conclusion with a serious lead. It’s this kind of scenario that Yuta was facing during the final round of his match with Mokemoke. As a Relius player, Mokemoke’s goal was to pressure his opponents with a mixture of Relius’ strong normals and his puppet, Ignis, which can attack in tandem with the main character. Competitors facing Relius often have to make a hard choice of what to block, and a wrong decision can allow the creepy mad scientist to take huge chunks of health away at every opportunity. Down one game but on the verge of tying things up, Mokemoke was able to avoid elimination and trap Yuta’s Es in the corner after a smart dodge, locking the opponent down with Ignis’ lunging super. The combo that followed earned Mokemoke enough meter to throw out another super in the hopes of mixing up Yuta’s defenses, and that’s when magic happened. 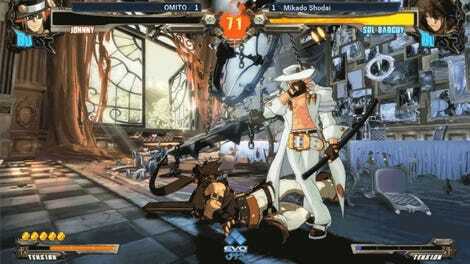 Much like its Arc System Works sibling Guilty Gear, BlazBlue features a mechanic known as clashing. When two attacks’ hitboxes collide, they bounce off each other, allowing the characters to immediately cancel into another attack. It’s not the easiest thing in the world to accomplish, but the best competitors are often able to react to a clash and retaliate appropriately. Stuck in the corner and about to eat another super, the only way Yuta could deal with Mokemoke’s onslaught was to make use of this mechanic. By throwing out Es’ uppercut, Yuta was able to essentially parry Ignis’ swipes by clashing multiple times performing the same move repeatedly. Mokemoke was understandably caught off guard as his last remaining slivers of health drained away in a situation that should have been entirely in his favor. If he had only backed off a bit, Relius would have been safe as Ignis approached the opponent, but his offensive style was turned against him in the most devastating way. Yuta would eventually make his way to grand finals, losing to champion Fenrich to end his run at Evo Japan as runner-up. After the dissolution of major fighting game tournament Tougeki in 2013, Japanese players have been hungry for a local event series with the same prestige, and they showed up in droves despite being restricted by the host country’s strict competitive gaming regulations. 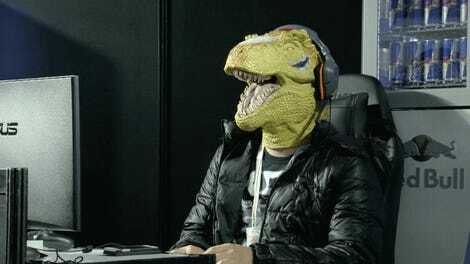 Both in-game and out, Evo Japan was every bit as good as its North American counterpart.